the first one for this fall. 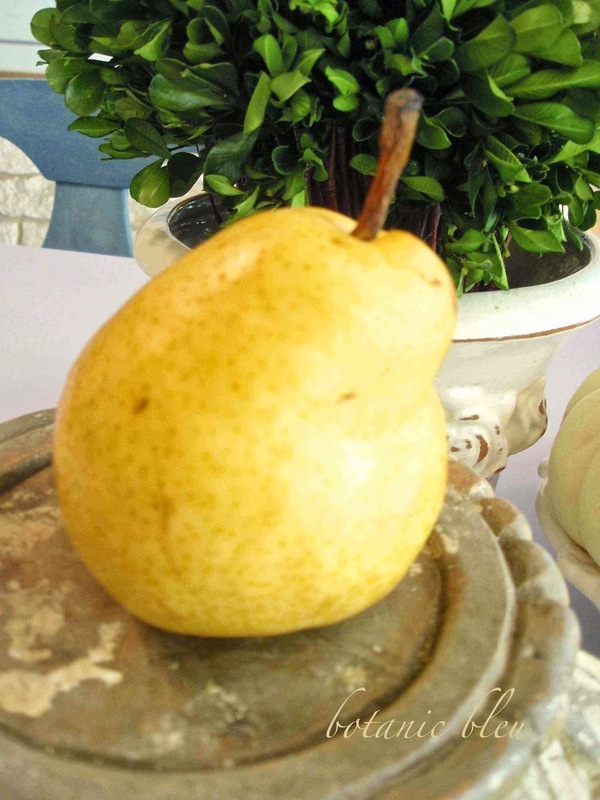 triggered visions of pear vignettes. 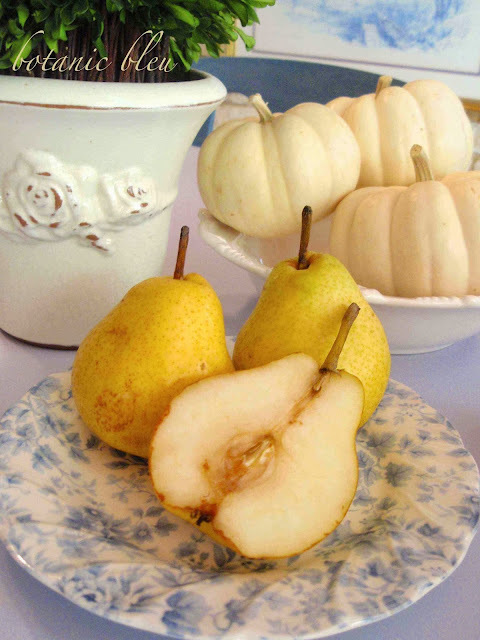 for baked pears in wine. 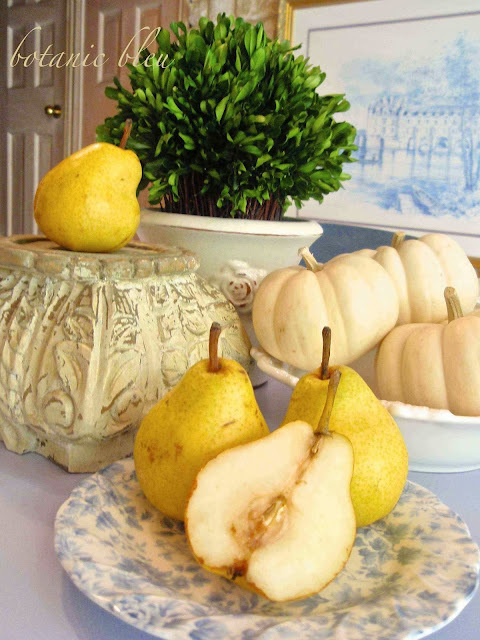 each featuring a different stage in the life of the pears in my kitchen. antique Paris carte postale in the background. perhaps composed by a French painter. Remembering French Country living is in the details. in everyday settings, not just for special guests. and brings a smile to the hearts of the family. A vignette of the fresh pear being prepared to be eaten. another fruit/vegetable harvested in the fall . and must be eaten within a day or two. Which brings to mind more memories of French food. picked fresh from a personal jardin. not hybridized varieties cultivated for shipping long distances. creates yet another vignette of pears. 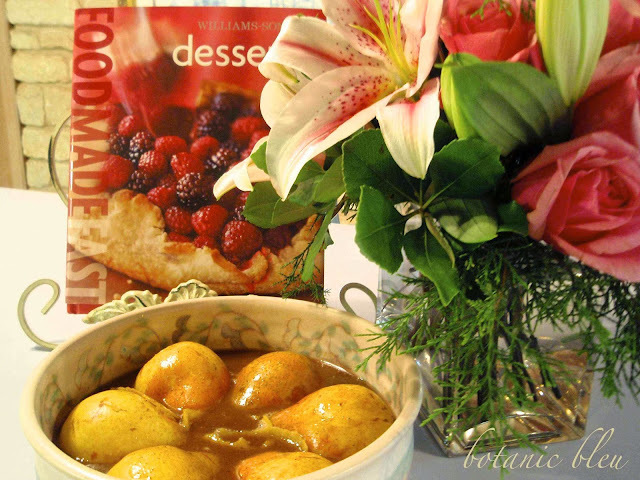 but the Pears Poached in Wine recipe in this cookbook is not our favorite. Warm Carmelized Pears With Clove Zabaglione. 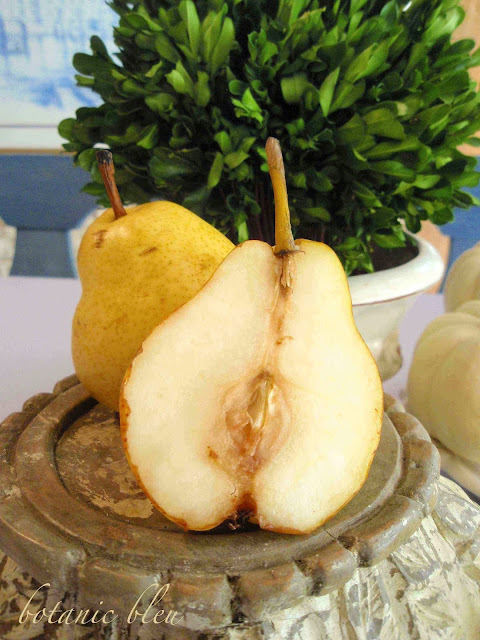 ❧ Cut the pears into halves, remove the centers, carefully keeping the stem on one half. In a small bowl, stir together the cloves, allspice, cinnamon, and nutmeg. In a small saucepan over medium heat, combine the Marsala (or grape juice), honey, butter, lemon zest, and the spices. Heat until butter just melts. Remove from heat. 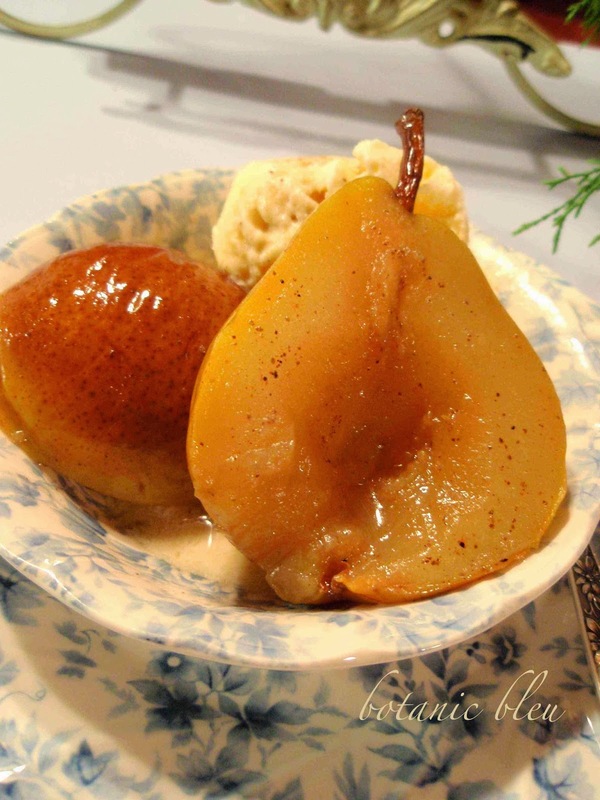 Place the pears in a baking dish, hollow side down, and pour the liquid mixture over them. 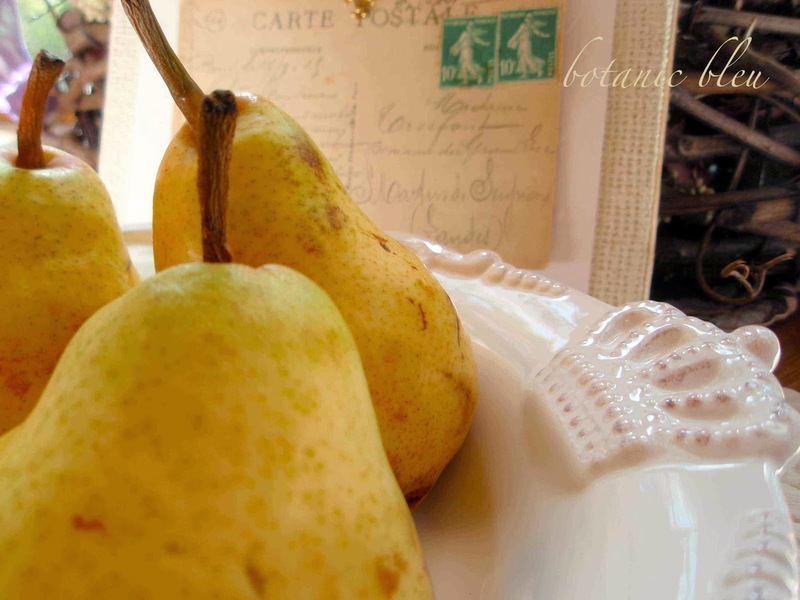 ❧ Bake the pears, basting occasionally with the liquid in the dish, and turning them over halfway through cooking, until easily pierced with a knife, 30-40 minutes. Remove from oven and keep warm until served. 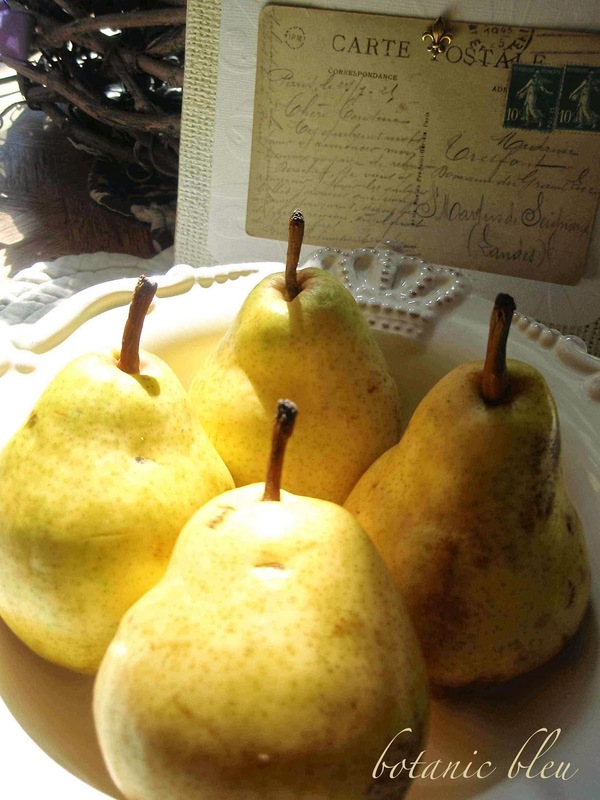 ❧ To serve, place pear halves in individual bowls. Add a scoop of vanilla ice cream (I use Blue Bell Homemade Vanilla.) Add the liquid to the bowl and spoon a tablespoon or two over the ice cream. The Williams and Sonoma recipe includes directions to make Clove Zabaglione instead of ice cream, but we like the vanilla ice cream. 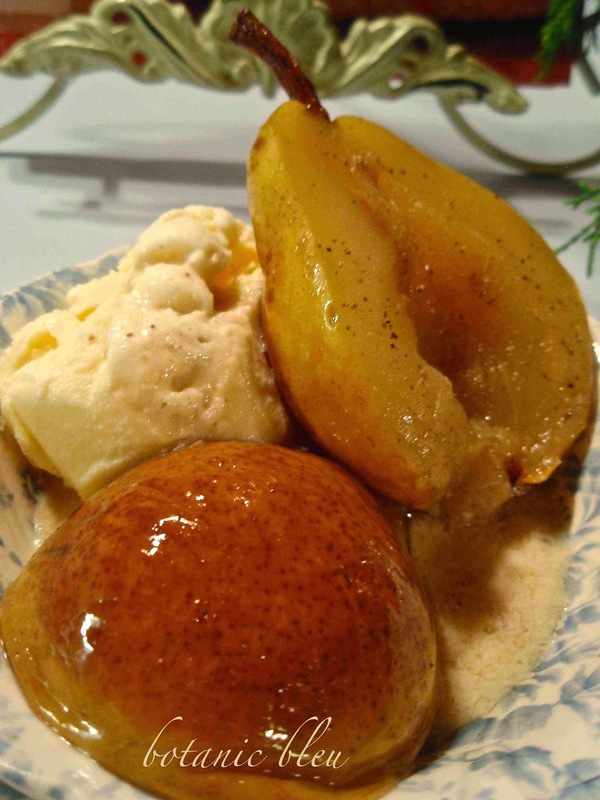 Nothing says Fall more than Warm Carmelized Pears. including at Thanksgiving and Christmas gatherings. 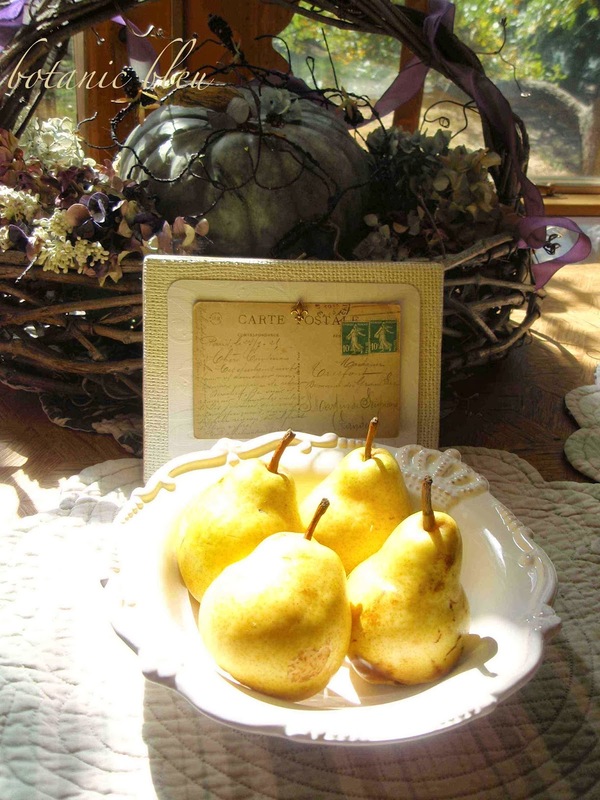 Beautiful photos, you took me away~the vignette with the postcard and crown does look like a painting~you have made me want to paint and eat! Everything looks yummy! The photos, the recipes -- thank you for sharing these beautiful vignettes! Judith, I'm going to have to make this recipe. Yum! Pretty vignettes do. They could be a perfect still life painting.